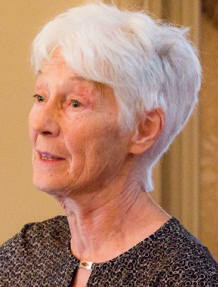 Kathleen Ruff is a long-time campaigner for human rights and was an early activist with the Voice of Women and the Victoria Status of Women Action Group. She was a founder of the Canadian Human Rights Reporter, and a former director of the Court Challenges Program of Canada and the BC Human Rights Commission. She founded RightOnCanada.ca and is the founder and coordinator of the Rotterdam Convention Alliance, whose members work to control the global trade in hazardous chemicals. In June 2016, she received the Quebec National Assembly's medal for efforts to stop Canada's deadly trade in asbestos.